These Cheesy Grilled Potatoes with Bacon are an easy foil pack side dish or appetizer for summer! Make it a full meal deal by adding extra veggies or chicken. 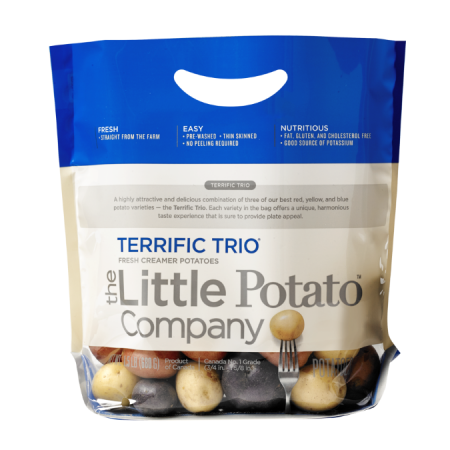 Place Little potatoes on a large microwave-safe plate (choose potatoes that are roughly the same size) and cook on high for 3 to 4 minutes, until somewhat tender. Preheat the grill to medium heat (about 350°F). Once potatoes are cool to the touch, slice potatoes thinly. Lay two large sheets of aluminum foil together (or use a cast iron skillet or grill pan) and spray with cooking spray. Place one single layer of potatoes on top. Combine salt and pepper and sprinkle one-third over potatoes. Top with one-third of the cheese and one-third of the bacon. Repeat layers two more times until all potatoes, cheese and bacon are used. Fold up the sides (if using a skillet or pan, you may want to cover with foil to keep the heat in) and pinch the top closed. Place directly on heat, cover grill and cook for 10 to 20 minutes, until potatoes are tender all the way through. 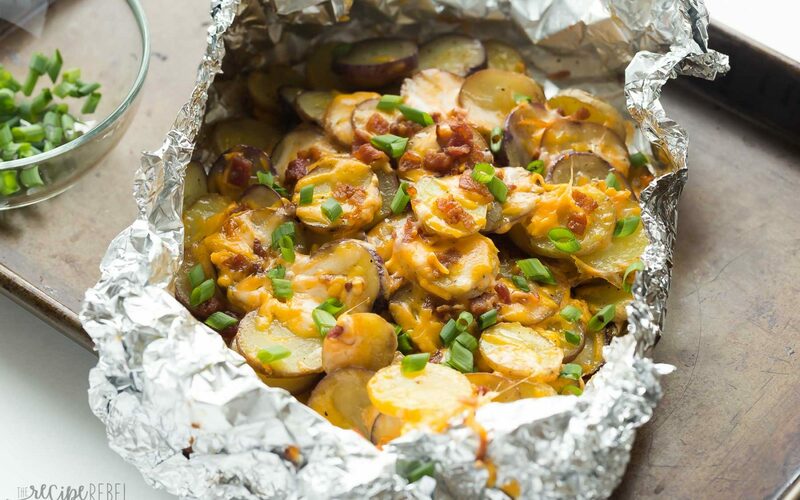 (*The potatoes can also be baked in the oven for roughly the same amount of time at 350-400 degrees F.) Open foil and sprinkle with green onions. Serve immediately.